Motorola's new low-cost Moto G smartphone, which has a quad-core processor, a 4.5-inch HD screen is all set to stir the league. 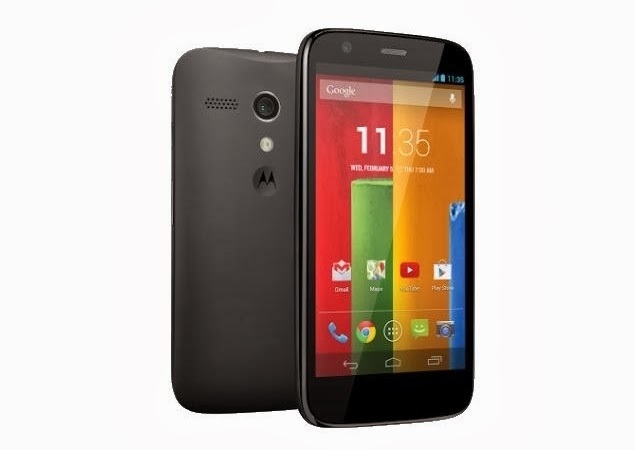 Moto G doesn't come with Android 4.4 KitKat but it will be upgrade by January 2014. It's running on version 4.3 Jelly Bean which is ahead of most existing Android smartphones. It will be priced at $179 for 8GB version, while the 16 GB version is priced at $199. Moto G will be available in India in early January at the same when it launches in the US. It is expected to be priced at Rs 15,000 for the 8 GB version, while the 16 GB could be in for Rs 18,000. With this price range and the killer specs, Moto G is all set to rock the Indian smartphone market which has been reigned by Samsung and Micromax. Tech Specs: Moto G houses a Qualcomm Snapdragon 400 processor quad-core CPU clocked at 1.2 Ghz, a 4.5-inch display with 720 p resolution(pixel density is 329 ppi. compared to 326 ppi in iPhone 5S) The device also has a 2070 mAh battery, with Motorola promising up to 24 hours battery life on mixed usage. Moto G will also get Android 4.4 KitKat by January 2014. Buyers will also get 50 GB storage free on Google Drive for two years. The screen is not full HD but at 4.5 inches, it looks crisp, the battery life and the processor ensure that the phone offers something new. Motorola has also announced a dual-SIM version in select markets. Camera: With a 5Mp rear and 1.3Mp front camera, it is a mid-ranged at a budget price but both cameras perform pretty decently. You can even shoot in burst, panorama and HDR modes. Video can be shot in 720p HD quality and there's an unexpected slow motion recording mode. At 11.6mm and 143g, Moto G feels nice in the hand with its rounded soft touch rear cover. There's little going on with the design. Silver power and volume buttons sit on the side and the two ports, headphone and USB, sit at either end of the handset. It comes with interchangeable coloured 'Moto Shells' mean you can customize the phone easily. There's also a flip cover just like Samsung has for Galaxy series. We can expect the price sensitive market such as India to really give it a try and it would be very interesting to see how Micromax and Samsung react to this move from Motorola.